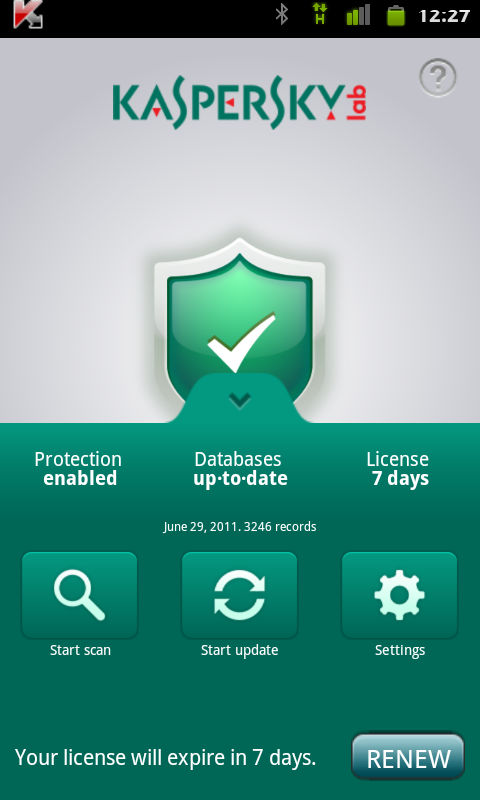 Basically, it's Kaspersky Mobile Security 9 spruced up for tablets, with all the theft protection, call blocking, SMS, and other phone-specific features removed. It is kind of handy to have those superfluous features axed (except theft protection?) for the purpose of navigating the menus, but it seems like this app doesn't add much functionality over its phone counterpart, aside from a streamlined (and admittedly much better) home screen. 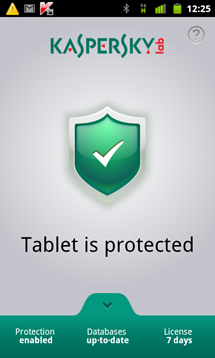 Basically, the app keeps all the anti-virus and malware protection found in Kaspersky Mobile Security and drops everything else, while putting on more tablet-appropriate attire. 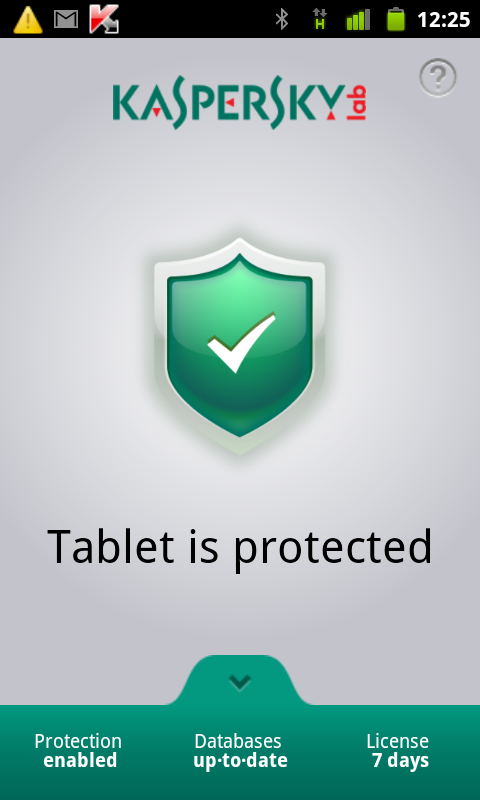 Still, Mobile Security isn't Honeycomb-compatible, so that's one (sort of shady) reason to get this tablet-specific iteration. 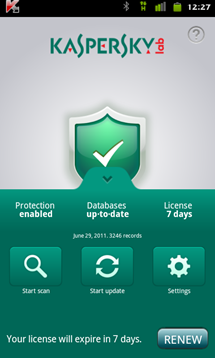 Kaspersky has said they plan to integrate tablet-specific theft protection and remote wipe features into later versions of the app. You can pick up Kasperky Tablet Security from Kaspersky's website only at the moment, and it will run you $20 for a one-year subscription. A bit pricey considering the phone app runs you $10 for a lifetime of use, but we imagine Tablet Security will show up in the market sooner or later.